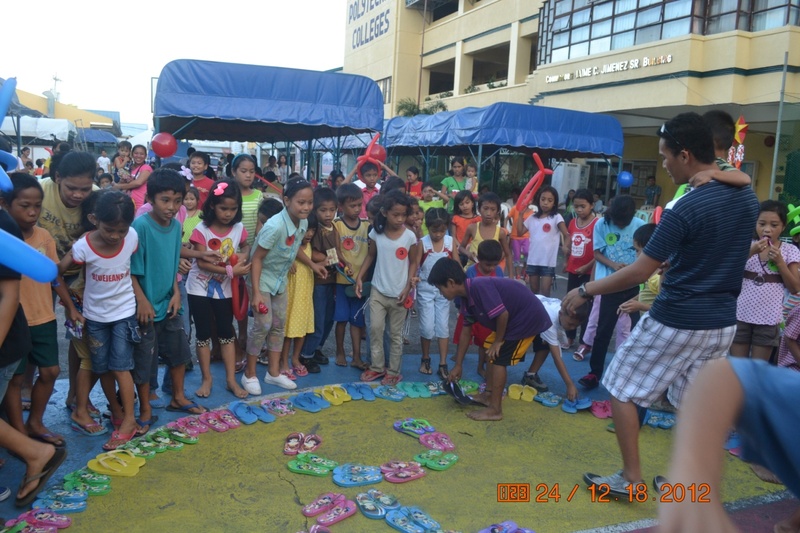 The annual “Alay kay Boboy” was held on December 20, 2012 at 1:30 in the afternoon at the MPC grounds. The activity was started with a Thanksgiving Mass with Rev. Fr. Noel Nacario as the officiating priest. After the Holy Mass, the children got ready for the program. This extension activity serves two-fold purposes: one is to commemorate the death of the late Engr. 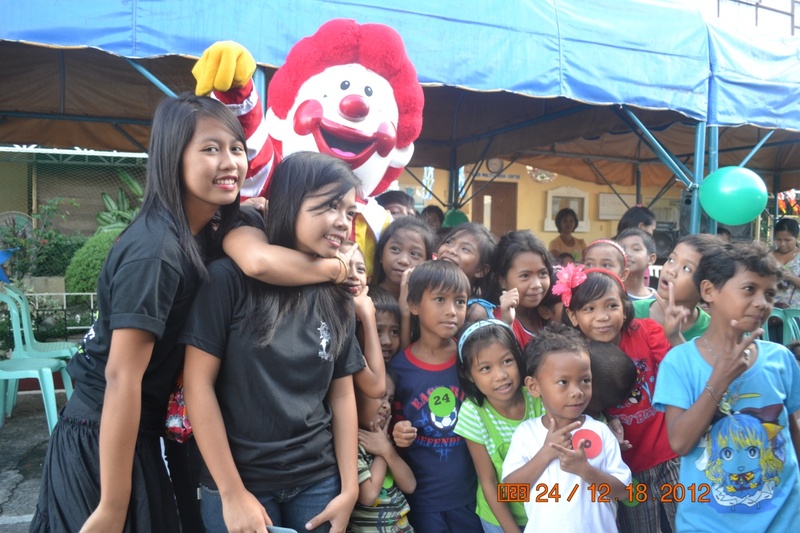 Jaime Boboy Jimenez, Jr. and another is to reach out the marginalized children in Naga City. Incidentally, Boboy was an advocate of the rights of the street children and abused children. Hence, a very appropriate undertaking. 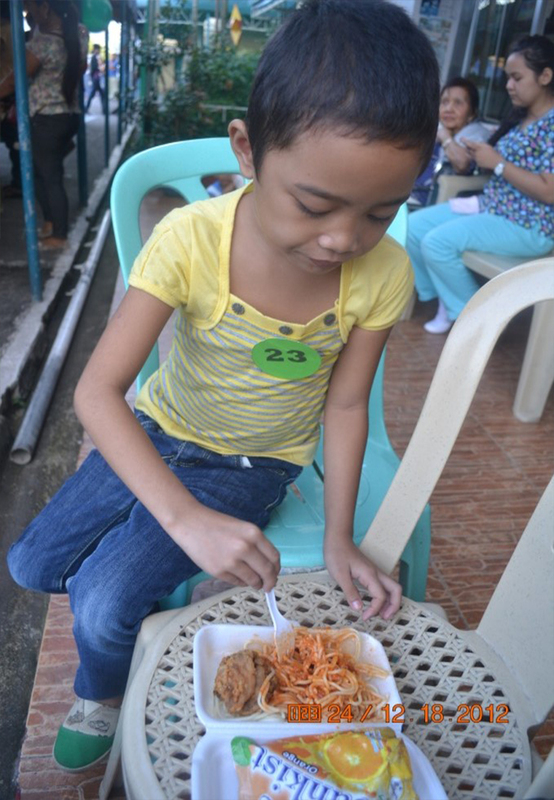 This year, the Alay kay Boboy had many participants. 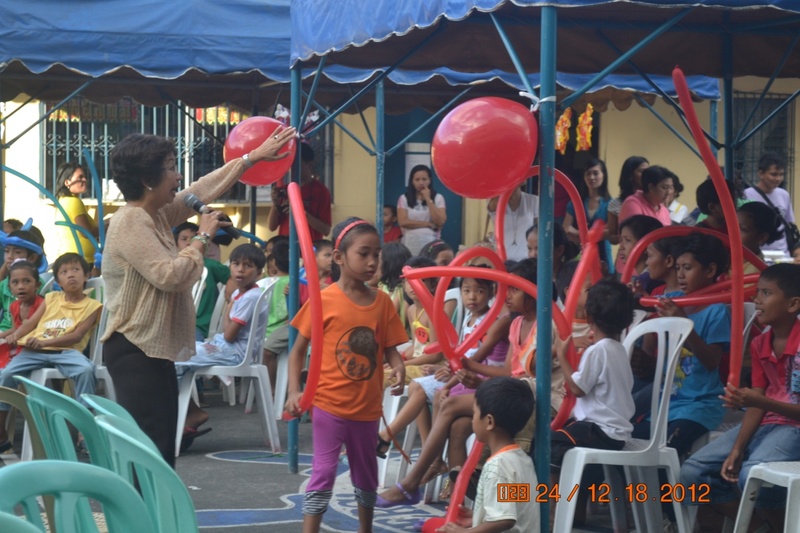 For the first time, there were 150 children of which Concepcion Grande, Concepcion Pequena, Balatas, and Tinago had 25 participants each and Mabulo had 50 participants. 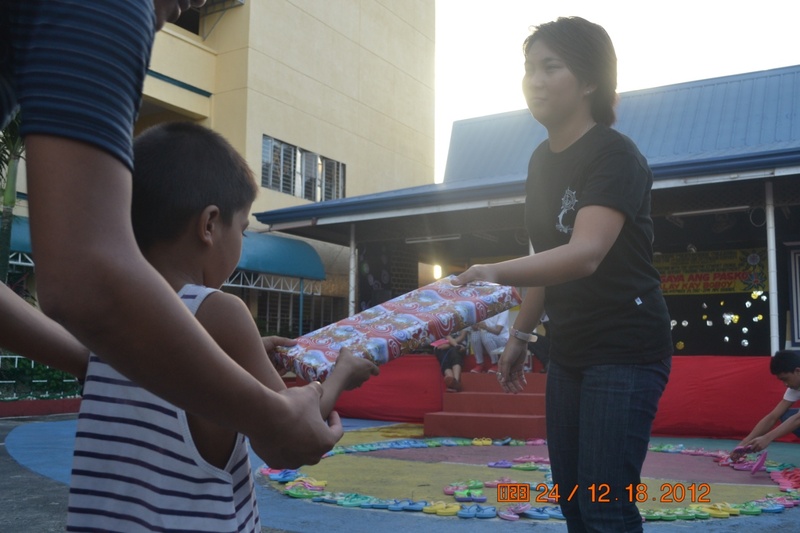 The program was so simple yet it had so much fun, games, food, and surprises. Highlight was the distribution of slippers where the children tried every pair that fit them. The Mcdonalds mascot appeared for 30 minutes. He played and danced with the children. Finally, the activity ended at 6:00 p.m. 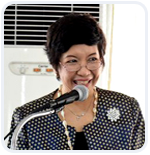 The President, Dr. Marilissa J. Ampuan, gives her message to the children. Children get ready take their slippers. Themed: “Responsible Campus Journalism in the New Media Technology”, the 13th Regional Tertiary Schools Press Conference is scheduled on December 7-9 this year. Chosen venue for this event is The Oriental Hotel located at Taisan Hills, Legazpi City. Like the usual regional press conferences, this year’s RTSPC consist of 12 individual events that includes: Editorial Writing, News Writing, Column Writing, Feature Writing, Sports Writing, DevCom Writing, Poetry Writing, Copy reading and Headline Writing, Photojournalism, Literary Graphics, Comics Strip and Editorial Cartooning, both in English and Filipino category. Group events are the Tabloid, Magazine, Broadsheet, Literary Folio and Newsletter. Submission for group entries will due on November 20, 2012 and is to be submitted to the 13th RTSPC Secretariat, Ms. Christine Garilla. The event will also give the Best Blogger Award. Board of Judges mentioned are as follows: Mrs. Aiza Naz (Copy reading & Headline Writing and News Writing), Mr. Jonas Soltes (Poetry Writing and Editorial Writing), Mr. Niño Orbita (Phtojournalism), Mr. Ping Peralta (Literary Graphics, Editorial Cartooning and Comics Strip), Ms. Liezel Macatangay (Feature Writing and DevCom Writing) and Mr. Mar Ochoa (Column Writing and Sports Writing). Participants in last year’s RTSPC ballooned to the total number of 247, so, the board is expecting to have at least 200 participants since the registration fee for each participant costs 3,500 which appeals expensive because of the hotel accommodation. Winning participants will be qualified to compete in the 12th Luzonwide Higher education Press Conference set on February 10-12, 2013, having the same venue.